Don't miss the latest happenings out of Timberline Four Seasons, including new lifts, terrain expansions, weather, photo galleries, infographics and current events skiers and mountain travelers should know about. Stay up-to-date on Timberline Four Seasons news and events by clicking on articles from the list below or page through to see coverage from the entire ski season. Resort to host final weekend of events and thanks the efforts of their snowmaking team for a long season. OnTheSnow visitors choose Timberline for best downhill terrain in region. Memorial Day weekend marks the start of summer activities at West Virginia's Timberline Resort with chairlift rides and mountain biking. Canaan Valley Resort in West Virginia closes but other resorts in state keep operating. 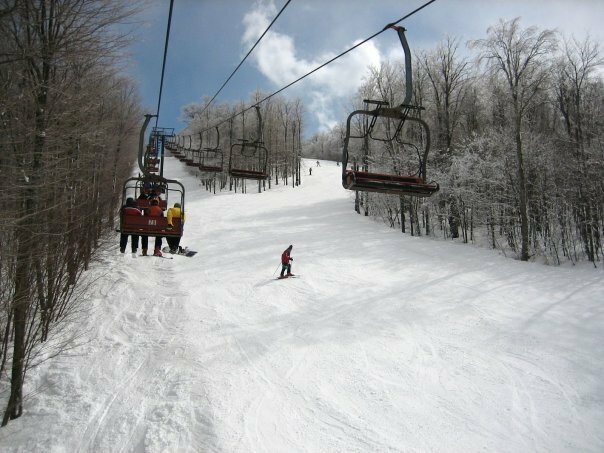 Canaan Valley and Timberline Resorts in West Virginia team to offer Ski the Valley Pass. A new European-style lodge opens at the base of Timberline Mountain. Change of seasons is a bittersweet time for outdoor adventurists. Oldest ski race in the South takes places March 7-8 at Timberline Four Seasons.